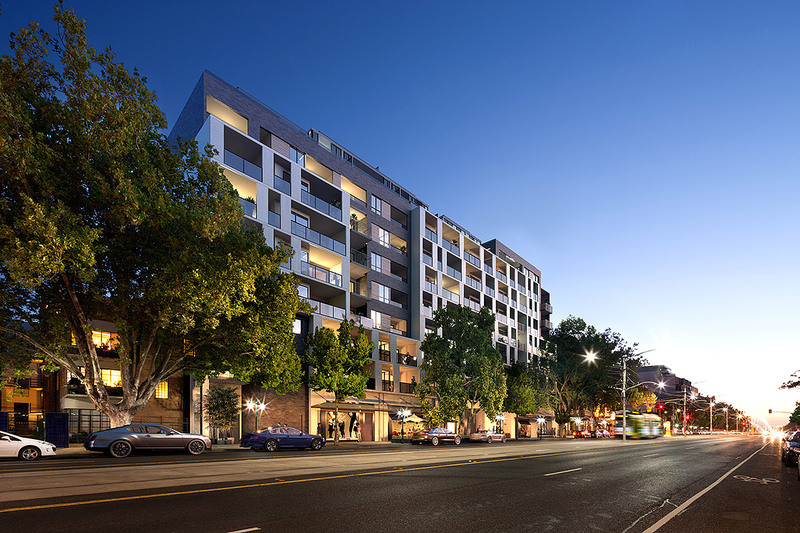 Located in the elevated section of the broad tree-lined street towards the junction, this site has unsurpassed views of Albert Park, the lake, bay and city skylines. It has a broad two-street frontage. The development integrates the cleaver re-use of the base of the previous building which occupied the site. 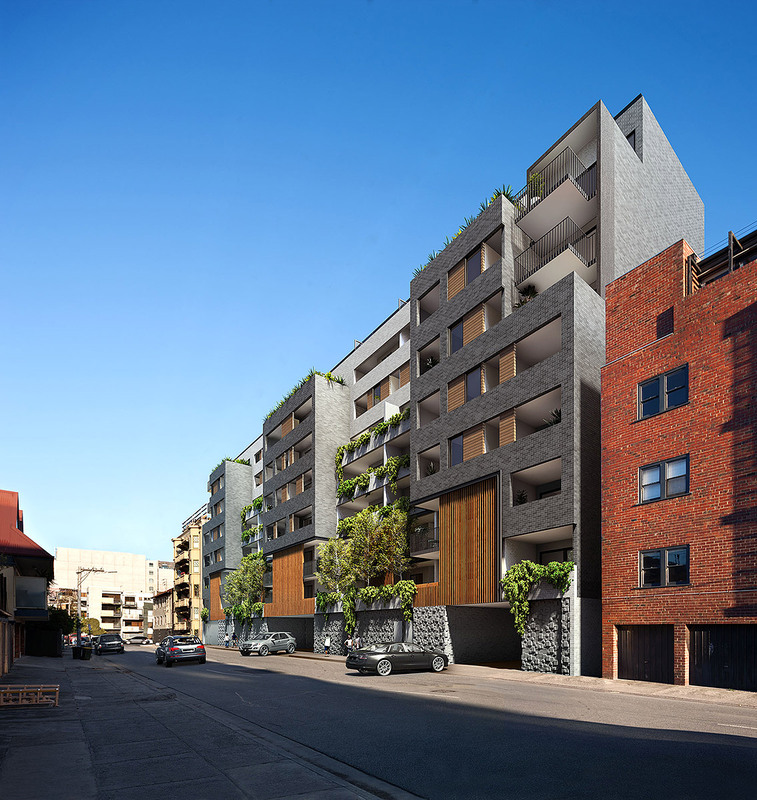 The facade composition adopts a strong, solid, composition strategy to reflect the diversity of the streetscape.